Independent heating, TV, dvd player, microwave, washing machine, diswasher, internet WiFi, elevator. Building with great historical value, where Joseph James Forrester lived, and to whom was given the title of Baron of Forrester by D. Ferdinand II, in 1855. Forrester was the reformer of the traditional Port Wine trading. 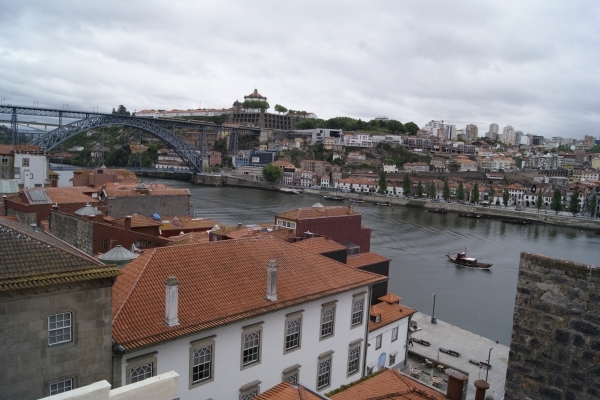 From the living-room you can enjoy dinner with privileged views over the River Douro; in the bedroom you can delight yourselves with the view of Ferreira Borges Market and the Stock Exchange Palace. - “Casa do Infante”, the Stock Exchange Palace, São Francisco’s Church, São Bento’s Train Station, Bolhão’s Market, Tower of the Clerics, University of Porto in Praça dos Leões, Carmo and Carmelita’s Churches, the Cordoaria’s Garden, the River Douro, D. Luis’s Bridge, the riverbanks (Ribeira), Port Wine Cellars… "